Athens (AFP) - Called to the ballot box for the third time in eight months, some Greeks are responding to election fatigue with a bailout-sized dose of Internet humour. In one hit post on the news site Protagon, comedienne Lila Stabouloglou suggested "electoral tourism" could prove a handy money-spinner for Greece's cash-strapped authorities in the run-up to the vote in three weeks' time. "The Greek Tourism Organisation is enthusiastically preparing to promote the idea of electoral tourism ahead of the vote on September 20," she wrote in the mock news report. Her post was topped with a fake campaign poster, showing a ballot box floating alongside two boats in beautiful turquoise waters. 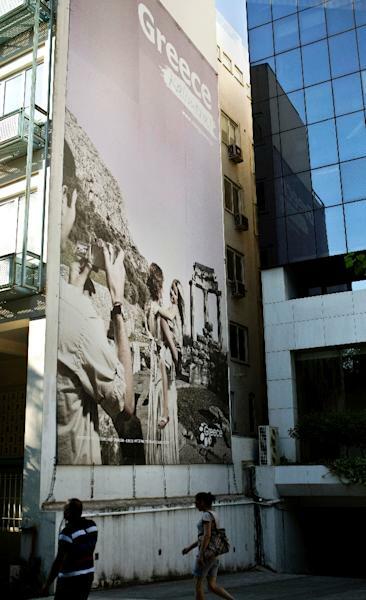 "Live Your Elections in Greece", it said -- a riff on a well-known old tourism campaign, "Live Your Myth in Greece". Alexis Tsipras, who only became prime minister in January, triggered snap elections by quitting last month after his decision to sign Greece up for a third huge international bailout caused a deep split in his radical-left party Syriza. In his short time in power he had also managed to hold a referendum on the bailout -- meaning this month's polls are not only the fifth elections the crisis-mired country has held in six years, but the third time in just eight months that Greeks have been asked to head to the polling station. Stabouloglou's "tourism campaign" invites visitors to Greece to enjoy "the electoral experience associated with the beauty of this country", perhaps by taking a trip to a "voting theme park" or loading up on vote-related souvenirs, like statues of flamboyant former finance minister Yanis Varoufakis. Posted hours after Tsipras resigned on August 20, the article sparked an explosion of comments and follow-up jokes on Twitter. The hashtag #ekloges2015_round2 ("Greek elections 2015, round two"), which also sprang up on August 20, continues to thrive online. "Are you ready for a new round of elections? No? It doesn't matter, you're getting them anyway!" reads one Twitter post. There were plenty of barbed comments aimed at Tsipras, too, ranging from those slamming his decision to agree to more tough reforms in exchange for the bailout -- an abrupt u-turn for a premier who came to power vowing an end to austerity -- to others grumbling that he has called elections in the middle of the holiday season. "August is supposed to be a quiet month, isn't it? Not if you live in Greece," wrote one netizen. Another speculated that Tsipras's "Plan B" for the country could involve Greece leaving the European Union and setting up the Electoral Union instead. Others voiced suspicion that come voting day, the endless cycle of elections will result in mass apathy. 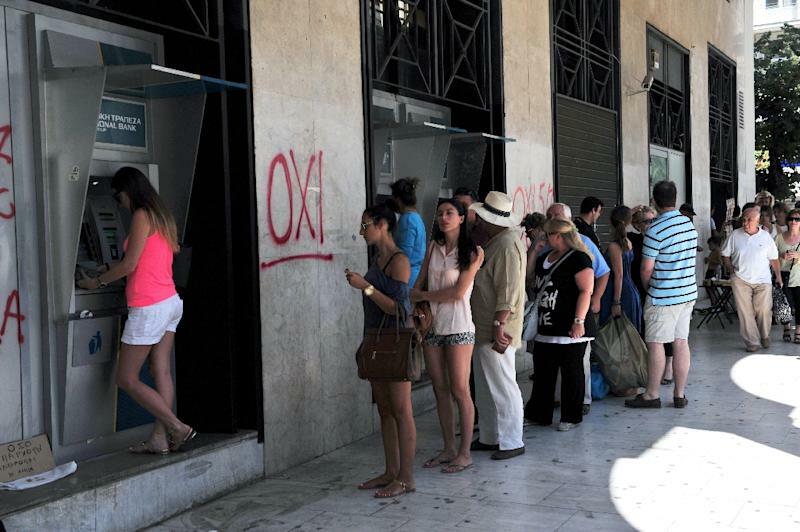 "Let's start the betting: less than 80 percent abstention, or more?" said one such post. A drawing by Arkas, one of Greece's best-known cartoonists, summed up the feelings of many. "Another bailout, more negotiations, more elections," a lost-looking man says in the picture. "In this country, all we get is endless deja vu."